We all know that window treatments are often overlooked by home and business owners in New Orleans, Louisiana. However, clean drapery and curtains can really make the difference in a home or office. In times when the accumulation of dirt and dust can cause significant problems and spread harmful pollutants in the home, professional drapery and curtain cleaning looks like the best option for enhancing the decor of the room. At D&G Carpet Cleaning, we pride ourselves on being among the most trusted New Orleans drapery and curtain cleaning professionals. We specialize in cleaning windows, drapes and curtains and freeing up your property from dust, debris and pollutants. What’s In Our Drape/Curtain Cleaning Process? 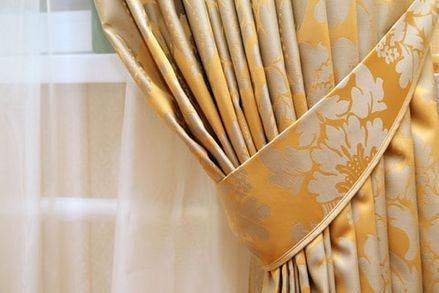 Our unique drape and curtain cleaning processes are gentle with delicate fabrics - yet very effective with the buildup of dirt, grime and insects. We take down the drapes, remove the hooks and the plastic shanks holding the lining to the face to ensure that the fabrics separate - and enable the solvent to clean every inch, back, front and center of your drapes. 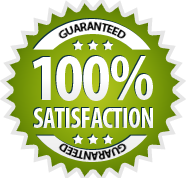 More importantly, we utilize actual dry cleaning processes and not basic upholstery cleaning. Our turnaround times are quick - all starting from the point when we pick up your drapes/curtains, dry clean them and re-hang them on your rods. Thanks to our drape and curtain cleaning processes, your drapes will be spot cleaned and properly dry cleaned to ensure the best results. Once the process is finished, we put back the hooks and the curtains/drapes are then hung to drop and air followed by steaming. We make sure there is no shrinkage and fan-fold your drapes, bagged ready for storage and/or delivery to your home - and then hung back on your windows. Why Choose Us For Your Drapery & Curtain Cleaning? As one of the few drape cleaning specialists in New Orleans, we are able to provide the best solutions to drapery and curtain cleaning in any options for consideration. Over the years, we have built a solid reputation on providing a prompt service that best meets the customer needs across the state of Louisiana. We are experts in cleaning fine fabrics and intricate pieces. Trained to use the state-of-the-art equipment that is designed for cleaning fine fabrics, we are here to assure you of our unique system and hand you your spotlessly clean drapery and curtains. If you are looking for a high-quality drapery and curtain cleaning service in New Orleans, you have landed on the right page. At D&G Carpet Cleaning, we will give you the attention and personal service that you deserve - and exceed your expectations. Whether it’s curtains, draperies, Roman blinds - we are your best choice for professional curtain cleaning in New Orleans, Louisiana.If you are ready to get your materials thoroughly and properly cleaned, now is the time to contact us!